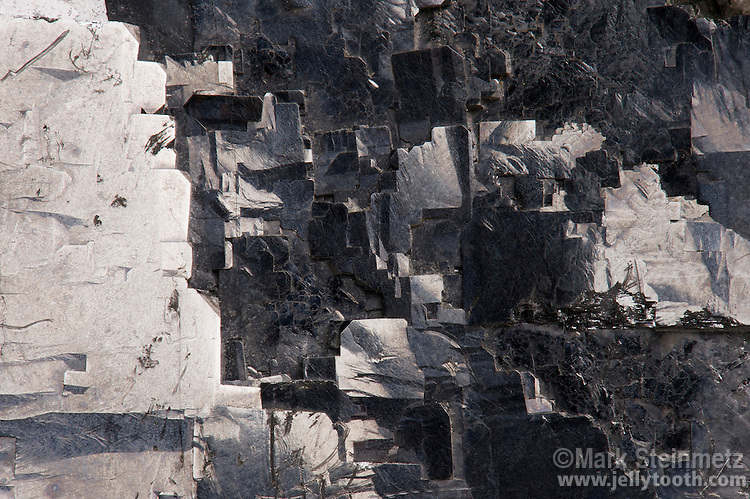 Close-up of Galena, showing fractured cubic cleavage. Sweetwater Mine, Viburnum Trend, Reynolds County, Missouri, USA. Galena is the chief ore of lead. Its shiny metallic luster is striking.